WikiLeaks has hit back against a multimillion-dollar lawsuit filed by the Democratic National Committee (DNC), announcing over Twitter that they are seeking donations for a counter-suit, noting "We've never lost a publishing case and discovery is going to be amazing fun," along with a link which people can use to donate to the organization. Discovery is a pre-trial process by which one party can obtain evidence from the opposing party relevant to the case. The Trump campaign, which is also named in the DNC filing, says the lawsuit will provide an opportunity to "explore the DNC's now-secret records." Hours after the Washington Post broke the news of the lawsuit, President Trump tweeted "Just heard the Campaign was sued by the Obstructionist Democrats. This can be good news in that we will now counter for the DNC server that they refused to give to the FBI," referring to the DNC email breach. Trump also mentioned "the Debbie Wasserman Schultz Servers and Documents held by the Pakistani mystery man and Clinton Emails." While this lawsuit is frivolous and will be dismissed, if the case goes forward, the DNC has created an opportunity for us to take aggressive discovery into their claims of 'damages' and uncover their acts of corruption for the American people,"
What's interesting is that of all the sources the DNC cites in their massive lawsuit - the Steele dossier they paid for isn't one of them. The DNC suit has drawn criticism from prominent Democrats who would like to restore dignity to the party - such as Claire McCaskill (MO), Jackie Speier (CA) and former Obama White House adviser and CNN commentator David Axelrod - who suggested in a Friday tweet that the "ill-timed" combination of "Comey's flamboyant roll out" and the DNC lawsuit are playing into President Trump's strategy of portraying the investigation against him as a "partisan vendetta." All of these sideshows—Comey’s flamboyant roll out; this @DNC lawsuit—seem spectacularly ill-timed and abet @POTUS strategy of portraying a sober and essential probe as a partisan vendetta. 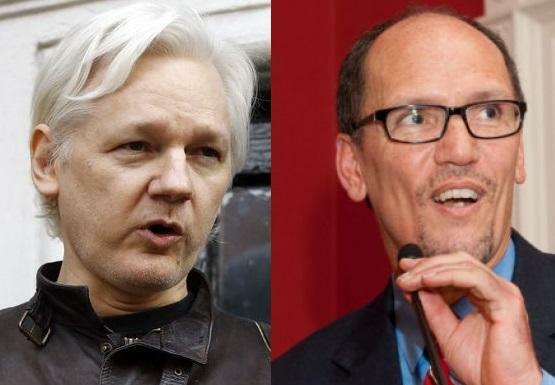 DNC Chair Tom Perez defended the lawsuit on Sunday, which alleges a wide-reaching conspiracy between the Trump campaign, WikiLeaks founder Julian Assange, Russia and others to interfere with the 2016 election. Perez said that the DNC filed the suit "in a timely manner under the statue of limitations." "I don't know when Director Mueller's investigation is going to end, nor would I ever ask him because I want him to do a good, thorough job," Perez continued, adding that he's confident the lawsuit will get a jury trial. Perez told ABC News's This Week on Sunday that if the defendants think they can "relitigate all their wild theories" - likely in reference to the litany of bombshell revelations contained within the emails published by WikiLeaks, they will be sadly disappointed. "(T)here's this thing called Rule 11, where you get sanctioned for trying to do things like that," he said. "That's why we have a civil justice system. You can't fire this judge who will preside over the case. You can't pardon defendants in a civil case. I think it's so important for the American people to see the truth here." When asked on Meet the Press Sunday whether Hillary Clinton was Hillary Clinton's idea, he responded "You'll have to ask Secretary Clinton." 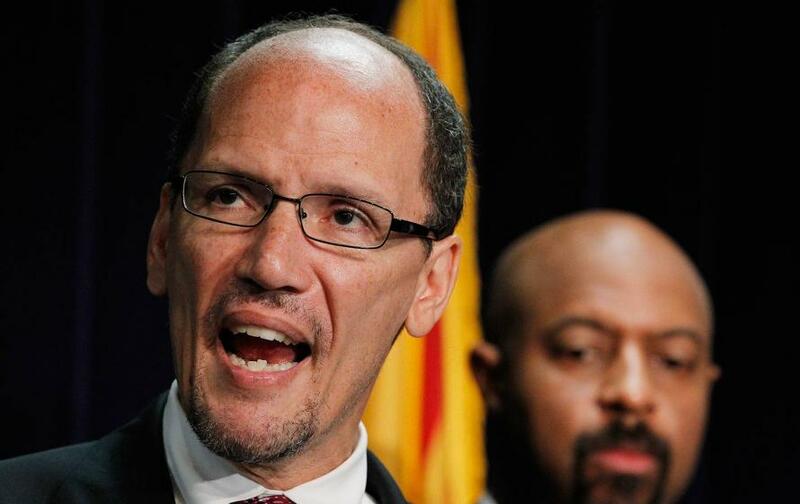 Despite the fact that the DNC's bank account is running on empty, Perez says that the party "can't afford not to" pursue the lawsuit. "It's hard to put a price tag on preserving democracy," he continued, also acknowledging that he doesn't know how much money the lawsuit will cost the organization. As a related aside, Julian Assange has been blocked by Ecuadorian authorities from using the internet for nearly a month due to his comments on the Catalonia separatist movement - depriving him of his ability to opine on topics or defend himself. The hashtag #ReconnectJulian has appeared in response, while supporters conducted a 10 hour online vigil in response.